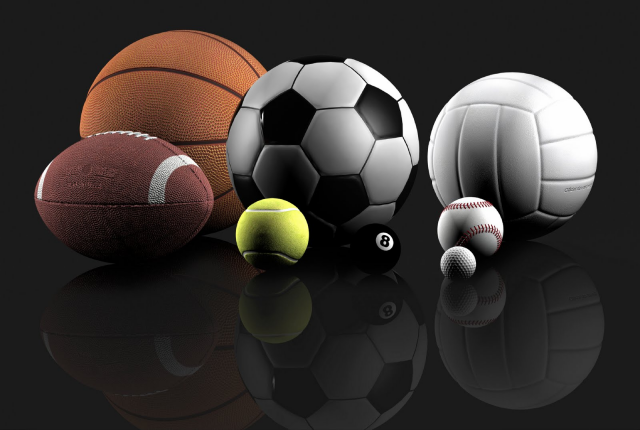 Q: Name the winning play in a certain sport: two words, five letters in each word. These two words share exactly one letter. Drop this letter from both words. The remaining eight letters can be rearranged to name the person who makes this winning play. What person is it? Edit: The hint was to Queen and their song "We are the Champions". I like this puzzle a lot. Is greyhound racing with those little monkey jockeys really a sport? Somehow, I'm not surprised by the game Will chose for this puzzle. Reminds me of a wooly eland - a red one, actually. I just got up and am still a little fuzzy but I think I have a pretty good handle on the answer. And just like last week, if you select and copy it, then go to Sharky's Vigenere Cipher, paste his post into the "Input:" field, then enter the new word asked for in this week's puzzle, that "person who makes this winning play" into the "Key:" field, then click the "decode" button, you'll then see that the "Output:" field makes sense. I'm going back and forth working on this one -- I think I need breakfast. Either these puzzles are gettin' easier or I'm gettin' smarter. This morning, Will came on the air just as I finished slicing a banana over my breakfast cereal. Before I finished my small bowl of Wheaties and cup of cocoa, I had the answer. Seems like back in the day, I used to have to resharpen my pencil at least three or four times before I could light the victory candle. I know Will likes ping pong. This hint helped me to get the answer. I somehow overlooked this hint. Don't they use the same terms (e.g. match point) in ping pong? Should have been deleted. Well, since I am not really into sports I don't think I want to horse around with this one too much. I worked on my car yesterday and already feel totally shot. A royal musical clue ? Who do you think is the better comic director: Woody Allen or Charlie Chaplain? I think this week's challenge, while not too difficult, is really quite "elegant" (as Will describes what he thinks are really well crafted puzzles). As for the solution, the rover exploring Mars got me thinking about the name of someone who's made a lot of these winning plays. I agree about the quality of the puzzle. Vincent Youmans, Humphrey Bogart, and Marge - that's a team. Come on baby, light my fire. Or is it light my spark? There is an interesting structural property relating the two word phrase and the name of the winning play. There is an interesting structural property relating the two word phrase and the person making the winning play. By the way, what was the word or phrase on page 22 of the Randy Shilts book relating to last week's answer? For all applicable n (n = 1 to n = 5), the nth letter of the first 5-letter word and the nth letter of the second 5-letter word come from complementary halves (A to M and N to Z, respectively) of the 26-letter alphabet. I suggest you go back and read my answer to your above question. The first half of the target word comes from the first 5-letter word. The second half comes from the second 5-letter word. That was the property that I was referring to, but withheld it pending the arrival of 3 PM Eastern time Thursday. The common letter the 2 words share is a critical part of at least one sport. This is where the phosphorus is located. Anyone should be able to solve this one. That's it....roger....over and out. Well this is getting monotonous. Apart from the "Double U" puzzle a few weeks back, nothing has been offered that requires more than a few minutes of thought. Remember that old saw from the 19th century, about some head of the patent office who proposed that his office be closed because there wasn't anything left to invent? Well it was a fraud -- no one ever said it. But I am beginning to believe that all of the really good Sunday AM puzzles have already been written. If not, where are they? Did Liane take them home with her? I tend to agree with you on principle, but I still solve the puzzles each week because I find some pleasure due to Blaine's blog. The puzzles these days are beyond lame in my opinion, but as I posted earlier, you can sometimes make lemonaide out of piss, sorry, I meant lemons. I first became interested in solving the puzzles because my dictionary was getting a bit long in the tusk and I hoped to win the one they were awarding as a prize, but they stopped that. I scored a better dictionary on that other NPR Puzzle blog a while back, so sometimes I ask myself why I still send in my solutions. I don't have any desire to play the on-air Sunday quiz with Will Shortz, so it must be something else. And this brings me to the latter part of your question. Where indeed are all the really good puzzles? I keep asking myself this question too as I have sent in several I came up with. The problem I thought might be that they were a little bit too intelligent for Will to use, so the last one I sent in was dumbed down in order to see if that would make the grade. Well apparently not. I also think this Liane Hansen stuff is nonsense and I actually prefer some of the other hosts better, but that admission will no doubt cast me into puzzle blog hell for sure. No, I still think, as I have stated before, that Will wants to keep the numbers high in order that the puzzle will be continued. Simple as that. Now perhaps because I have again posted rather lengthy and offended Unknown, he will add something far more pithy and worth reading as he always does. God, I do envy him his way with words. I've suggested several puzzles to Will that are somewhat challenging, but he has yet to make any of them his on-air challenge. Did you actually win a dictionary from NPR, i.e. were you called??? I played on-air in ’05 and yes I won – among other things – Merriam-Webster’s Collegiate Dictionary 11th Edition (both the hardcover and digital versions) and a hardcover Merriam-Webster’s Collegiate Thesaurus, too. They don’t give those away anymore. to see what their current list of prizes are. No. An Englishman Solves American Puzzles. Bloggers guess each week on how many will send in answers. If someone wins (usually no one wins) he is sent a puzzle book. I was coerced into playing, after I posted that I don't do crosswords and those kinds of puzzles, and they indicated if I were to win they would send me a dictionary. Well, I soon won and was sent a New Oxford American Dictionary that weighs more than my waterbed. So who needs NPR prizes? NPR calls you if they pick you to play Puzzle on the air from the pool of those who answered the challenge correctly, not if Will uses one of your submissions. And no, you don't get a prize for submitting the challenge--just the satisfaction that Will used your submission. However, I WAS the on air participant on Sunday, 07/05/92 (my 10 minutes of fame). That was in the postcard days before Will became Puzzle Editor of the NY Times. At the time, Will was the editor of Games magazine. Your prize was a one year subscription to that mag or something similar. A far cry from a dictionary and the other books that serve as the current prize! I continue to participate in hopes of winning the MW dictionary and other books. But even if I don't, the challenge is always fun. Incidentally, as you probably know, the segment is recorded in advance. When I was on the air, they called me the afternoon of Thursday, 07/02/92 to arrange a time. They called me at 11 AM Eastern on Friday, 07/03/92. I'm not sure when they currently record the segment--if it's at 3 PM Eastern Thursday or if they do it Friday morning, for I recall they often make reference to it being morning. But again, I may be wrong. Finally, Will did use a submission of mine about 10 years ago. It was a follow up to a challenge where a person's name contained two words that were opposites of each other. The answer to the original challenge was Albert NOYES. My follow up was a similar challenge whose answer was another name that ran through my mind while searching for the correct answer, author Gail SHEEHY (SHE-HE). He did read my name over the air as being the source of the challenge, but he did not call me in advance to say he would, nor did I win any prizes. Still, I can take satisfaction that he did use one of my submissions. I'm still waiting for him to use one of my other ones. I guess you still have not figured out that NPR no longer awards the dictionary as a prize. I have long questioned if Will Shortz even sees the puzzle suggestions I have submitted. I have no way of knowing, but I also cannot comprehend his useing some of the pathetic puzzles he has been using of late. It just occured to me that I should appologize to Blaine for putting in a plug above for his competition blog: An Englishman Solves American Puzzles. Sorry Blaine. Good points! But now you've added another plug yourself so the question becomes, will that be sufficient? I'll try and shed a little light on all this tomorrow. Tune in then. Love? Isn't that what makes a Subaru a Subaru? Oh the puzzle's not from Will Shortz himself. Could have fooled me. My outdoor thermometer tells me that the temperature has gone down here; it's beautiful, the windows are open, and I am looking forward to fall. LMP, my experience is so similar to yours it's amazing. I played on-air a few years after you, so my prize package did include the dictionary (also ScrabbleUp, and the Weekend Edition Lapel Pin). I can't remember what challenge I solved to get on, but I remember my on-air challenge, which was so easy it was almost insulting. Anyway, yes, the challenges are easy, but I still find them fun, and obviously many people like them. So I don't see why anyone would call them "lame". Uh, sorry: not a work of literature consisting entirely of... but rather a work of literature whose title consists entirely of...! The Gower: A peninsula in S Wales, in Swansea county on the Bristol Channel: mainly agricultural with several resorts. Remove 2 letters from the answer and rearrange to get a first name shared by 2 former legends of the sport. Still running a week behind but a new puzzle is ready. Last Sunday I said, “I just got up and am still a little fuzzy but I think I have a pretty good handle on the answer.” Fuzzy like a tennis ball, handle like part of a tennis racquet. "Well, since I am not really into sports I don't think I want to horse around with this one too much. I worked on my car yesterday and already feel totally shot." HORSE is the clue here. Gene Autry's horse was named, CHAMPION. All those cowboy films were SHOT. "The Gower: A peninsula in S. Wales, in Swansea county on the Bristol Channel : mainly agricultural with several resorts." Gower Champion (June 22, 1919 – August 25, 1980) was an American actor, theatre director, choreographer, and dancer of great fame. "It just occurred to me that I should apologize to Blaine for putting in a plug above for his competition blog: An Englishman Solves American Puzzles. Sorry Blaine ." This, along with follow up posts by me and Blaine, is hinting at CHAMPION SPARK PLUGS and vehicle tune ups which may include timing with a timing light and ignition points. I hope I did not give too much away with my last post in this string. Actually, I thought you'd gone blonkers. MATCH POINT to Dennis Novikov. He is the CHAMPION of the 2012 National Boys Tennis Tournament, held every year in KALAMAZOO, Michigan. He receives the coveted main draw wildcard for next week’s US Open Tennis Tournament. Congratulations and good luck. wooly eland anagrams to Woody Allen and red refers to Scarlet as in Johansson. Match Point was the name of the movie directed by WA and starring SJ. My hint: "Will likes ping pong." Sort of like tennis, i.e. table tennis. Protest! Will, you did it again! This part of the clue was just wrong: "The remaining eight letters can be rearranged to name the person who makes this winning play. What person is it?" CORRECTION: Champion isn't a "name," nor is it "the person" who makes a match point. You need an editor, Mr. Editor. May I suggest the following: "The remaining eight letters can be rearranged to form a word describing the person who makes this winning play. What is the word?" Do you really enjoy frustrating people like me who take your clues literally? A generic noun is not a person. Think I'll go hit some tennis balls or kick a kickball. As Tommy Boy said, Woody Allen made "Match Point", and Charlie Chaplain made "The Champion". I'm your Venus, I'm your fire What's your "desire" and then there was the "love" fest with SDB. Although I got the intended answer fairly quickly, I agree with your comment. "Match point" is a situation in a tennis match, not a "play". And not every match point results in the conclusion of the match. (Just ask John Isner!) Moreover, the winner of a match is not necessarily the winner of the tournament and therefore not necessarily the "champion." Merriam-Webster's online dictionary defines match point as a situation (as in tennis) in which one player or side will win the match by winning the next point; also the point itself. New puzzle is up and dumb, as usual, trust me. I thought you'd consider it a classic adventure. Something is wrong with the NPR site. I have tried almost two dozen times to submit my answer, but nothing happens. I'm getting the same frustration. Has anybody here successfully submitted?